Merchant, real estate dealer, MLA (1883-1886). Born at Flotta, Orkney, Scotland on 28 October 1843, he came to Portage la Prairie, Manitoba in 1862. For many years he was a member of the mercantile business of Campbell, Hay & Boddy. On 21 January 1869, he married Annie Munro Wild. They had eleven children: James Simpson Hay (1870-1919), John George Hay (1872-1889), Mary Hay (1874-1874), Alice Ann Hay (1875-1951), Elizabeth Hay (1877-1962), Ethel Mary Hay (1880-1957), Charles Portage Hay (1882-1938), Samuel Earle Norfolk Hay (1885-1949), Gerald Sinclair Hay (1887-1950), William John Hay (b 1890), and Maurice Stuart Hay (1893-1910). He was postmaster at Portage and was one of the first councillors for the Rural Municipality of Portage la Prairie, in 1879. 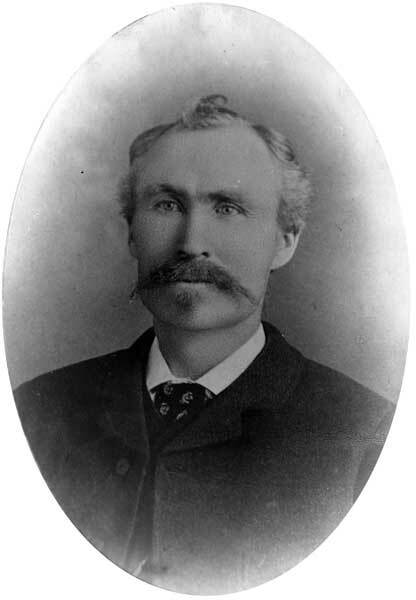 He was elected to the Manitoba Legislature, representing the Norfolk constituency, at the 1883 general election. He retired to Vancouver, British Columbia around 1914 and died there on 14 November 1924. “Charles Hay, former Manitoba M.L.A., dead,” Manitoba Free Press, 15 November 1924, page 10. Tread of the Pioneers, written and edited by Joseph H. Metcalfe and published by the Portage la Prairie and District Old Timers’ Association, 1932. We thank David Palmquist for providing additional information used in this profile.